I'm having a consistent problem where if the lem is obscured from the camera then the light doesn't render out. This is happening to all lems that are obscured in this model. This occurs in preview and high quality render presets. And another side issue is that not all of the regular lights are lighting up either. I put a red box to show the issue. All the lights are the same component but it looks like only 1 light is actually working. thx for the feedback! I don't know about just the one light working, the furthest one is casting light on the wall behind, but it's a lot closer, and the light distribution on the surface below is even. If you look on the right hand wall behind those lights, you can just about see the curve of the light from the second light in the line. 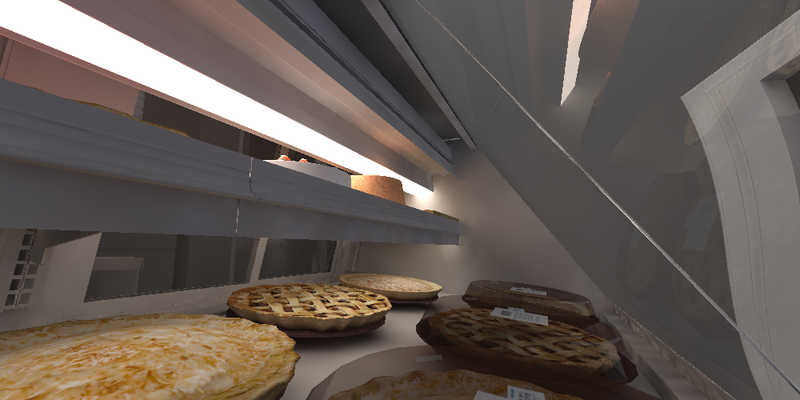 There are a bunch of lems (12 I believe) including some in the pie refrig that aren't lighting (as shown in the lowest render) up but do if i put the camera in view of the lem. I'm just showing the one as an example. I'll try reversing the texture but I doubt they all are reversed. I already tried moving the lem onto a seperate plane from the surface but that didn't change anything. As far as the bar lights, it's the 2nd light from the end. 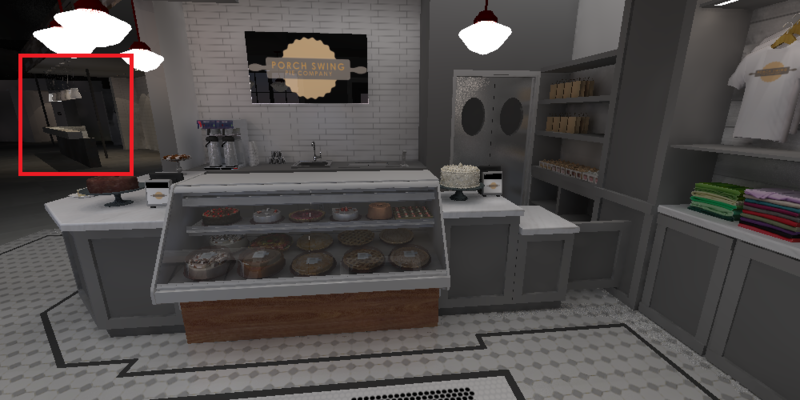 I'll do a closer render and see if that changes. What you are seeing are different lights in the ceiling lighting that back wall. The bar shows only one light in that group. 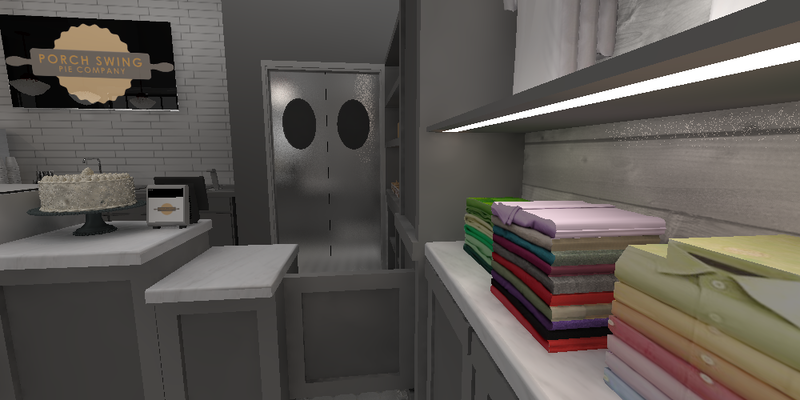 I know, I randomly get this issue on various models of some not lighting. I don't recall lems being a problem prior to this though. Are there any kind of limitations like amount of lights or distance from camera limitations or limitations in various presets or anything to check beside texture face? Something weird is going on here, I wonder if there's something else going on with the LEMs. 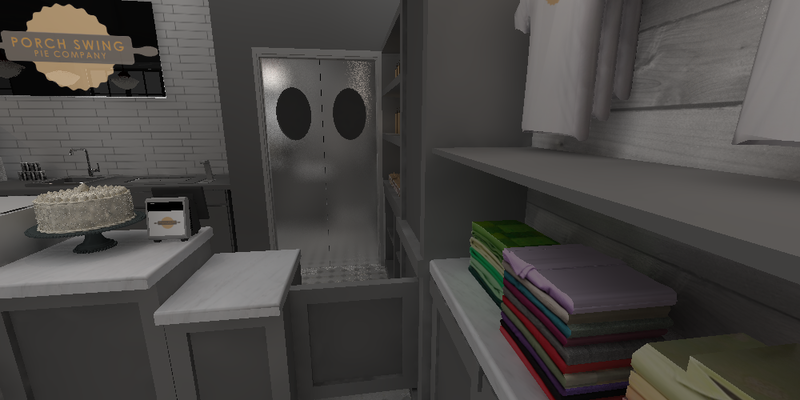 They clearly work when out of sight because of the simulated 'camera flash' effect I mentioned earlier. We had this exact issue a long time ago, but we fixed it. How have you configured these lights? If you paint the reverse of that face in the LEM it should show up when the camera isn't directly looking at it.